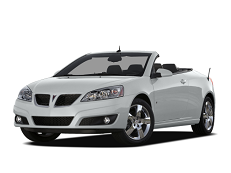 Correct Wheel Sizes, PCD, Offset, Rims and Tire specs for Pontiac G6 series. 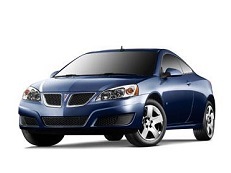 I have a 2010 Pontiac G6 GT that I bought with 20" rims on it. The current tire size is 225/35/20 but they are cracked. The current tire is not wide enough for the rim. What size tire can I get without taking the chance of rubbing? Hi,Lee-Anne,Are you sure the tire width is 209?Can you confirm again? I have a 2007 Pontiac G6 2.4L that's currently on 225/50R16 wheels and also has 205/50R16 winter tires that are on the sideline/storage. I have many different recommendations for my vehicle including 215/60R16, 225/50R17, 225/50R18, and 245/35R20. What's correct and recommended for my vehicle? Can I use both current sizes on my current rims despite the 20mm width difference? Do I need new rims *and* tires? I have a Pontiac G6 2009 - tires 225/50R17, rims I believe are 7jx17et40. I'm having a hard time finding them and just need one. I live in Edmonton AB Canada. Any idea where I could get one? 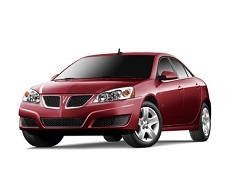 I have a 2006 Pontiac G6 3.9L with a messed up rim. I am desperately searching for a rim that is 7" x 18" and that has a 5 x 110 bolt pattern. I've found some that were over $100 but I can't afford that. I'm a single mom of a little boy with Autism. Please help!! what are the rim dimentions of a 2009 g6 winter rims. Hi,Heather Barnett,The stock rim size is 17'' or 18''. Hi,Ken,For 2008,the stock size is 16'' 5*100.So,I think 15'' may be smaller.